“There is the similar case of Fr. Niall Molloy, the family of whom have submitted freedom of information requests to the Department of Justice and Equality about the investigation into his murder in 1985. After two months the Department responded with inaccurate information and the family must appeal to seek more information. The Minister has not met them. 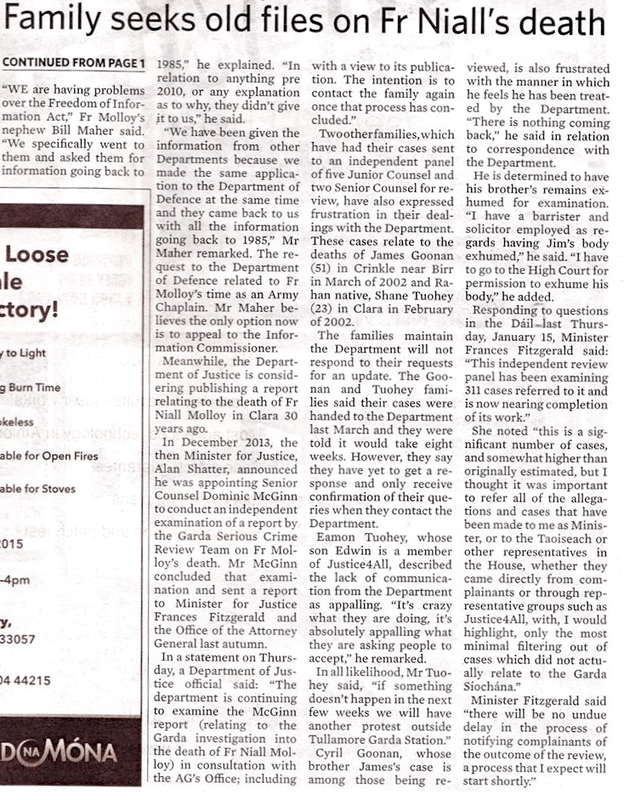 The previous Minister appointed Mr. Dominic McGinn to look into the case, but he has not yet issued his report. We were told this would be done in the summer.